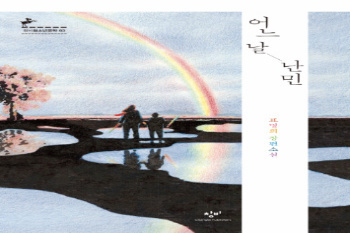 With her new book One Day a Refugee published on March 16, Pyo hopes that she can help many people open their eyes to see a world they didn’t notice before. 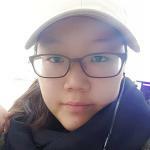 Photo provided by Changbi. Despite all difficulties, author Pyo Myung-hee is always in a struggle to inspire and give joy to her readers. Photo by Jang Da-yeon. Having received the Changbi Prize for New figures in Literature with her debut story Nightscape in 2001, the author Pyo Myung-hee has published many other books including The Third Exit, Housemate, My Neighbor’s Hello, Off-road Diary, The Gold Rush, and the recently published One Day a Refugee. The author spends her time not just as a writer, but also as a teacher for other aspiring young writers. 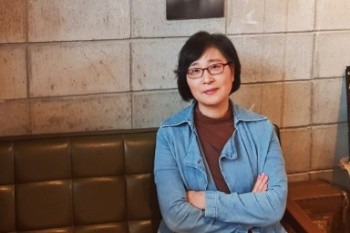 A graduate of Ewha’s German department, Pyo met Ewha Voice in a quaint café nestled in the island of Yeong-jong-do to shed light on her writing life. Q: Why did you major German Literature and how did you become an author? My dream was to become a translator after majoring in foreign literature. My role-model was Lee Yun-gi, one of the first-generation professional translators. Like him, I wanted to study and translate literature works until I was 40, then begin writing my own works. But because I wasn’t in the position to enter graduate school, I worked at a publishing house, until I could finally join the writing world at the late age of 30. I still regret starting so late. Q: What do you want to achieve most as an author? Leaving behind a good piece of writing has always been my dream. I want to write something that the public will say, “Oh, that author,” when people hear the title of my book. Writing something that is acknowledged regardless of the flow of time is what I want to do most. Q: What is the hardest thing of being an author? Knowing that you’ll be judged every time you write something is part of what I think is a sad but unavoidable destiny for authors. For jobs like teachers or public officers, if you pass the test once you don’t lose your job for some time as long as nothing big happens. If you’re an author, however, you have to pass the test every single time. Your very being is decided by how popular your book is. If you don’t rise as a best-selling author, even publishing a book isn’t easy at all. Being an author is all about taking chances, but you must enjoy the thrill. If you don’t, it’ll be too difficult. Q: How did Ewha help in shaping your career? Maybe it’s because Ewha Womans University is a college for women, but Ewha students have a fascinating tendency to not flock together. I believe they’re a little freer in terms of human relationships. As an author, having the opportunity to listen to my own voice and act according to my own thoughts helped not just through my college years, but for the rest of my life. Q: Is there anything you want to say to your underclassmen? I understand the feminism is burning bright at Ewha. It was still burning back in the 80s when I was attending university. Especially because Ewha is the Mecca of feminism, women’s studies is popular. But if it was an ideal society, the word “feminism” wouldn’t even exist. Existence of the word is proof that women’s life in Korea hasn’t gotten better during the past few decades. But I know it’s going to change. I want to tell my underclassmen that we need to prepare for a society beyond feminism now. Feminism is a process of earning freedom, not the destination. Pyo commented that to be an author, it is crucial to stand firm to one’s beliefs and values regardless of the environment, or what others say. She added that it wasn’t always easy. Despite all difficulties, Pyo cheerfully remarked her resolve to keep struggling to inspire and give joy to her readers. She hinted that she was working on another book where, much like One day a Refugee, the story also takes place on an island.